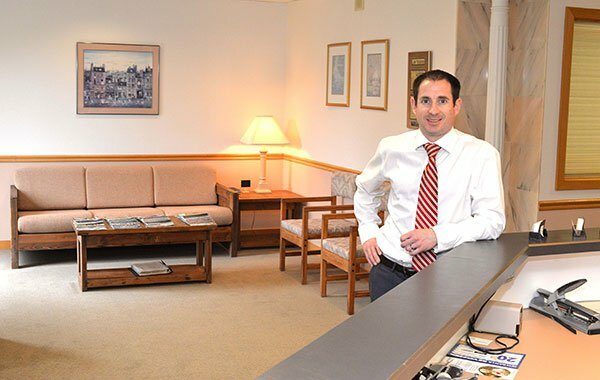 Eamon Donovan is the son of Jake Donovan, one of our firm’s two founding attorneys. Like his father, Eamon went into the legal profession because he viewed the law as a great tool for helping others. Today, he does exactly that — whether his clients are facing criminal charges, struggling with a personal injury claim, or needing legal guidance on another matter. Because of Paul and Jake’s influence, Eamon grew up with a unique perspective on criminal law. While most people’s minds jump straight to scandalous, high-dollar, high-profile cases, Eamon saw the reality of the field. The vast majority of criminal defense clients are everyday people and blue collar workers who have landed in situations largely outside their control. Those are the clients that Eamon and his father fight to protect. If you were accused of any of the above, or even an unrelated crime, know that Eamon has the knowledge and skill to represent you. And, if your case needs to go to trial, he will be meticulously prepared to defend you in the courtroom. My work is all about getting people to a better place. It’s as simple as that. Eamon’s practice extends past criminal defense to include personal injury claims and lawsuits. In other words, if you or a loved one was hurt in an accident caused by another person, he is here to help you deal with the insurance company. In the event that the insurance company wants to play hardball, he is prepared to take your case to trial if that’s what it takes to get you a fair settlement. Although criminal defense and personal injury are central to our practice, Eamon offers other legal services to meet our clients’ needs. In recent years, he has guided clients through the probate process, helped them create their estate plans, reviewed their business contracts, and led them past the ups and downs of landlord-tenant disputes and other real estate matters. No matter the legal concern that’s weighing on you, Eamon is prepared to sit down and discuss your situation. From there, he can educate you on your rights and options, giving you a better idea of how to proceed with your case. Best of all, he is happy to answer any questions you may have along the way.